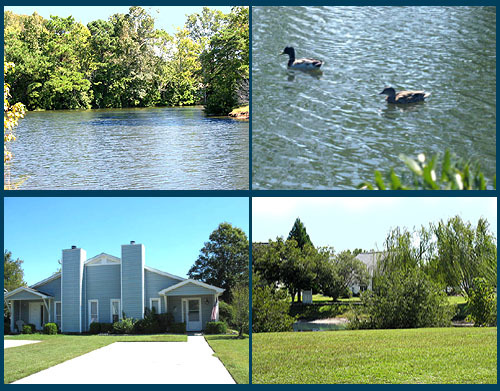 Right next to the popular Surfside community of Caropines off Glenns Bay Road is a neighborhood for bird lovers, specifically, the colorful "mallard" ducks. With scenic ponds everywhere you look, alongside bubbling fountains to keep the water fresh, you'll find populations of wild and domestic ducks, as well as other waterfowl. Don't be surprised to see an occasional Canadian goose or wild turkey either. Keep your cameras ready to get some beautiful photos when you visit here. The houses blend right into the natural settings and offer a tranquil and quiet place to live away from the traffic and noise of the main beach areas. 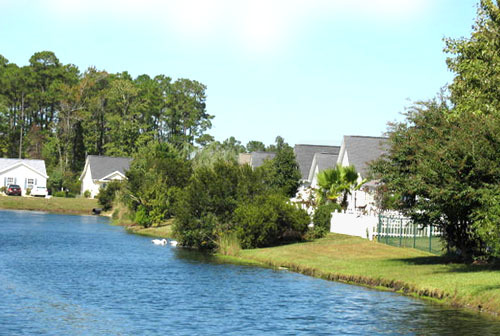 The homes are upscale and modern, with plenty of trees and flowers to add to the beauty of the water views. There's also a community pool to enjoy, Houses in Mallard Landing are affordable, too! Starting in the mid $100's for some of the homes actually built in 2011, most are 3 bedroom, two bath dream homes on large landscaped lots. The majority of Mallard Landing is well established so there's not much construction noise to mar the peacefulness or frighten the ducks and wildlife. 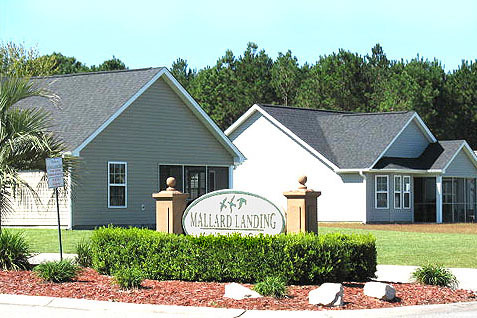 If you're looking for a great family or retirement community in Surfside, Mallard Landing homes for sale might be just what you want. Browse through the available homes below or give us a call to take you on a tour through the area. 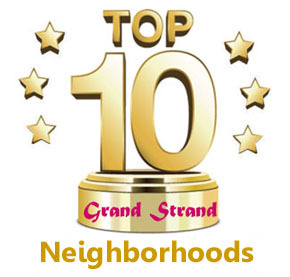 We are your Surfside Beach real estate experts! Listing courtesy of Realty ONE Group DocksideSouth , Laura Bunts.